A friendly attitude towards tourists, excellentdiving, reasonable prices and quite democratic outlook on life, combined with Eastern exoticism - the main reason that Russian travelers are increasingly go off the plane at the airport in Qatar. However, the traps in the usual form is not here for a long time, because this air harbor - one of the most modern not only on the continent but in the world. Qatar's former airport modernized andlandscaped for a dozen years. In 2003, the new terminal has been developed plan to build a modern and laying of the runway 5 km from the old air port. The decision on the reconstruction was made due to the increasing flow of tourists in Qatar, but because the planned airport capacity was supposed to do great. 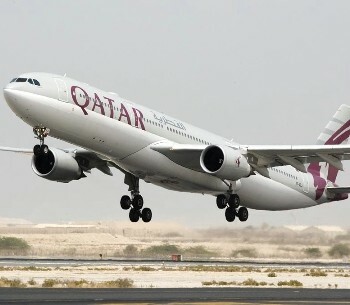 The first passenger plane landed in the newQatar international airport April 30, 2014, after which in its regular schedule flights were dozens of local airlines Qatar Airways and many other airlines from all over the world. City, where Hamad airport - itcapital Doha the country. Its center of the airfield separates 10 km and shuttle service is possible by taxi and shuttle-bus, takes passengers along the route, laid among the chain of resort hotels. KLM, Lufthansa and Turkish Airlines take passengers to Doha from Amsterdam, Frankfurt and Istanbul. Borta British Aiways fly directly from London with a stopover in Bahrain. Cairo and Egyptian airlines connect Doha to Cairo and Alexandria. Cathay Pacific Cebu Pacific and operate flights to Hong Kong and Manila. Many of the airlines help to get from Qatar to Syria, UAE, Pakistan, Oman, Jordan, and Royal Air Maroc deliver wishing to Casablanca. Air-India Express, Jet Airways and SriLankan Airways have in their schedule of regular flights from Qatar to Delhi, Mumbai and Colombo. 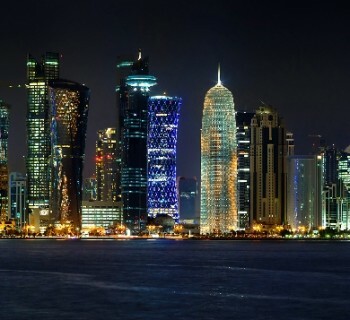 Direct flights from Moscow to Doha and back carriesseveral times a week "Aeroflot". Journey time is approximately 5 hours. A cheaper way to reach the beaches of the Gulf - the wings of the Turkish Airlines with a connection in Istanbul. Details of the timetable and other useful information can be found at Qatar's airport - www.dohahamadairport.com. The only new airport terminal Hamad - aonly the first stage in the creation of a large and modern air harbor. In the meantime, the passengers while waiting for their flight available duty free shops, lounges for families with children and VIPs, Arabic cuisine restaurant and coffee shop. In the arrivals area currency exchange and taxi stand.